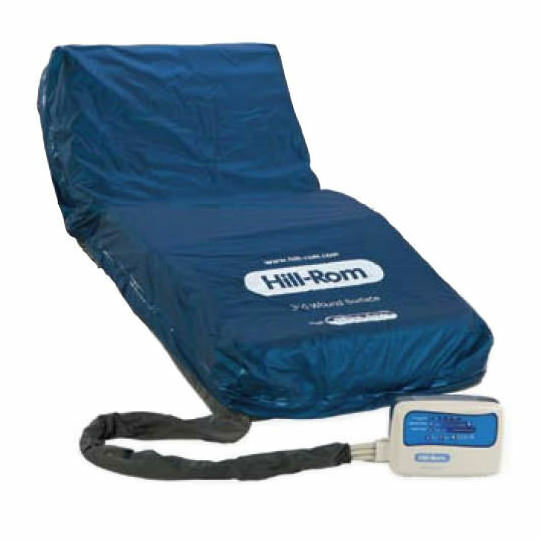 Hill-Rom 310 wound care mattress with alternating pressure and low air loss is a cost-effective option for prevention and treatment of pressure ulcers. P310 Wound Surface is a compact, lightweight prevention and treatment surface that combines both alternating pressure and low air loss modalities in one mattress, resulting in an easy to use, affordable option with added safety components that both patients and caregivers will appreciate. In addition to its performance features, the surface has also been designed to fit the CareAssist® ES bed and other flat deck frames to maximize the level of therapy and safety to the patient and caregiver. Mattress length options of 80" and 84"
Internal Dimension (LxWxH) 80" x 35.4" x 8" 84" x 35.4" x 8" 80" x 35.4" x 8"/10" 84" x 35.4 x 8"/10"
Weight 16.5 lbs. 16.5 lbs. 17.5 lbs. 17.5 lbs. Dimension (LxWxH) 11.4" x7.9" x4.6"